Learn how to automate purchasing, shipping and payments with an end-to-end demand forecasting order fulfillment solution for Acumatica. 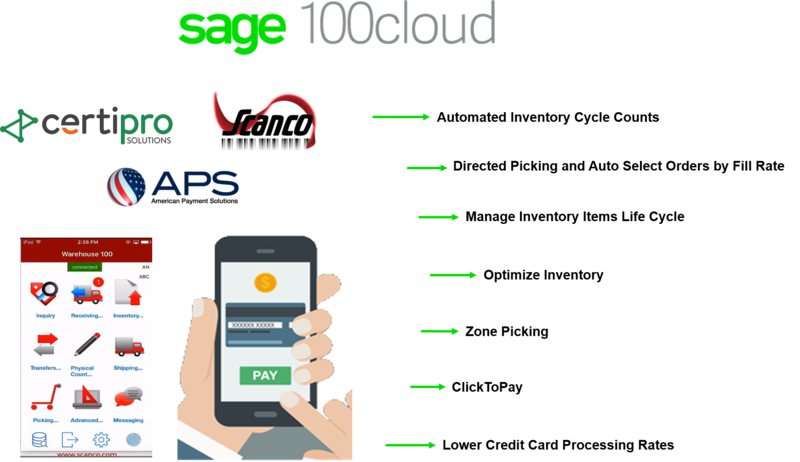 Join our friends at eRequester, StarShip and APS payments to learn how manufacturing, distribution and retail companies automate purchasing, shipping and payments with an integrated Sage 100cloud solution! Learn how to maximize your Acumatica Summit 2019 experience with APS Payments. We are excited to exhibit our Acumatica integrated credit card processing solution at the Acumatica Summit 2019. As a proud Acumatica Gold Sponsor, we hope you can join us on January 27 – February 1 at the Marriott Marquis in Houston, TX. 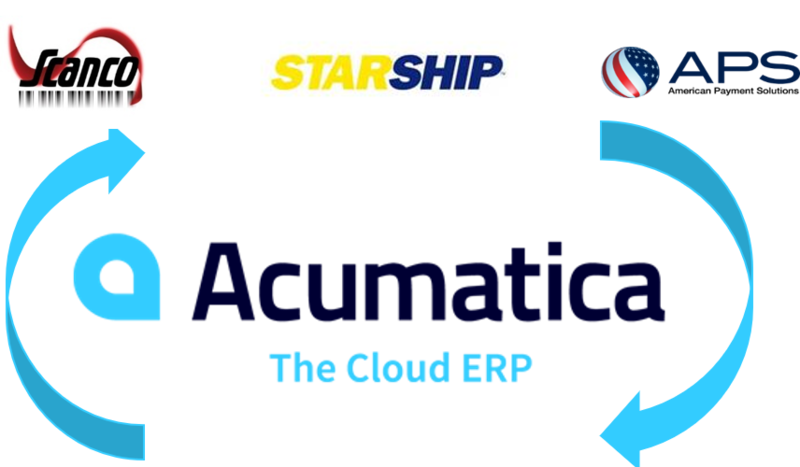 The Acumatica Summit 2019 is geared up to give you the full experience of being part of the fastest-growing cloud ERP solution community! Read below for all our tips to help you make the most out of your Acumatica Summit 2019 experience. Together Scanco, CertiPro and American Payment Solutions will present an advanced automated inventory cycle count and streamlined Muliti-Bin WMS with payment processing for Sage 100cloud. North American Payment Solutions (NAPS) is proud to sponsor the Adagio Open House, traveling across multiple cities in Canada this fall starting on September 26, 2018 in Saskatoon. These half-day, easily digestible events are a great opportunity for current and future clients to come and learn about new features of Adagio. Join our friends at Clearnine, Vrakas/Blum - JobOps, Scanco and American Payment to learn how to automate order processing with an integrated Sage 100cloud eCommerce, manufacturing and payment processing solution!